Here’s a helpful map to Heritage Harbour. The numbers indicate the districts of each Board of Director’s member. 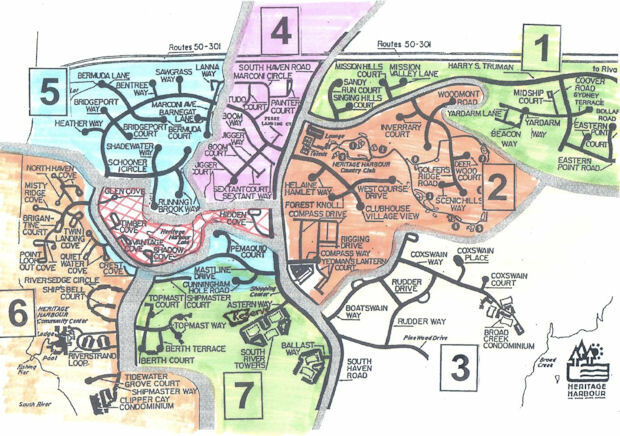 Another map of the Heritage Harbour community is linked here.